When it comes to online conversion, many small businesses get too caught up in expecting instant results from their online conversion tactics. Online conversion is still a relatively new topic, but one study shows that 73% of inbound leads into a website aren’t sales ready (1). This means that small businesses need to take time to cultivate the leads and move them along through the sales process. Turing a lead into a customer doesn’t happen overnight, it takes some work. 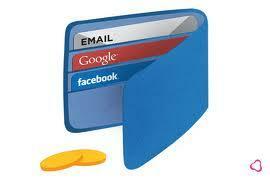 Two of the most efficient ways to move a lead through the sales process are through Social Media and Email Marketing. Email Marketing: Many small businesses feel that email marketing is a quick way to generate leads, pushing low prices and huge discounts onto consumers. This may be effective in some cases, but what they really should be focusing on is helping to compliment their other marketing efforts. Email marketing can be used as a resource to give potential customers more information to make a more informed decisions, help eliminate barriers that prevent them from buying. Ways of doing this are to include relevant articles to your industry, snippets of your blog that bring the customer back to your website, or by including some differentiators of your business. Social Media: One of the biggest mistakes that small businesses make with their social media is that they focus too much on selling. Social Media shouldn’t be used for sales, it should be used as a tool to create brand engagement. Now this doesn’t mean that businesses shouldn’t occasionally push a sale or a new product/service, it just needs to be done in moderation. We typically tell clients to break down their Social Media content into thirds. The three parts being, 1/3 of content related to your business, 1/3 of content related your industry, and lastly 1/3 of content related to your community. Conversion isn’t a always quick and easy process. Most of the time it takes multiple interactions with a prospect to push them through the funnel and complete a sale. Businesses must be patient and aware of how they are talking to their audience through Social Media and Email Marketing.